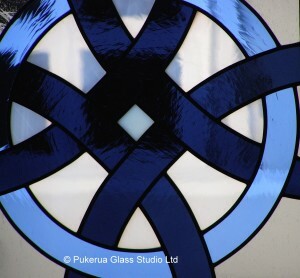 At Pukerua Glass Studio we specialise in architectural art glass design and manufacture. From heritage stained-glass to traditional and modern leadlights your windows will be hand-crafted in our studio. We also offer sand-blasting, acid etching and glass painting services. We are based in the Wellington region on the Kapiti Coast, and work New Zealand wide. We design for domestic buildings, corporate offices, restaurants, religious and civic buildings. We can enhance light effects, match architectural features, replicate existing windows or provide privacy solutions. Our experience and technical expertise will create a finished product perfectly suited to your setting, such as double glazed units, leadlight door panels and bathroom features. All fully compliant with New Zealand Building Standards. We offer a complete service from design to installation. Attention to every detail and our uncompromising quality control process guarantee client satisfaction every time. Depending on the project size and scope, we will work with your builder, joiner, window manufacturer and architect; or bring our own team of trusted professionals to the process.